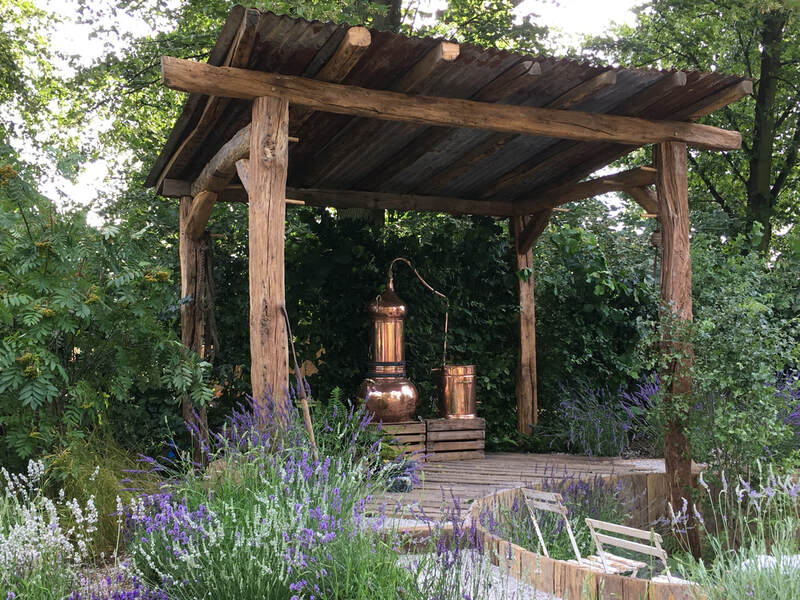 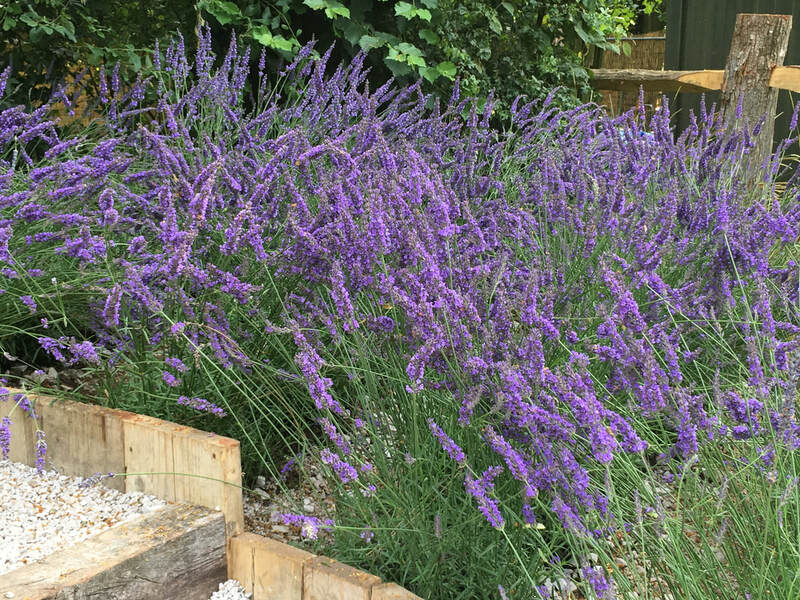 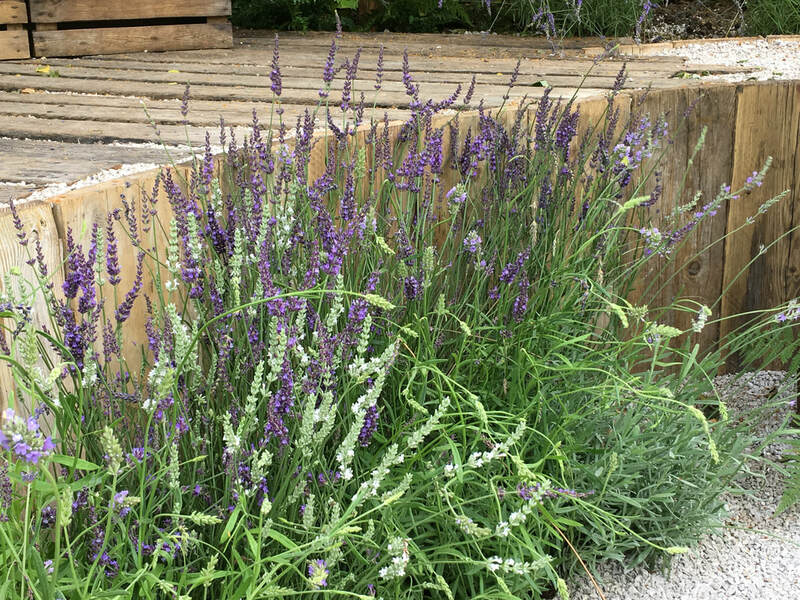 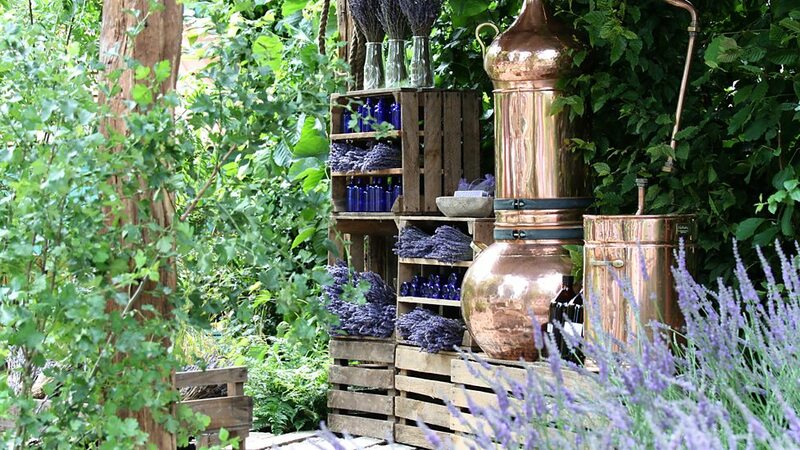 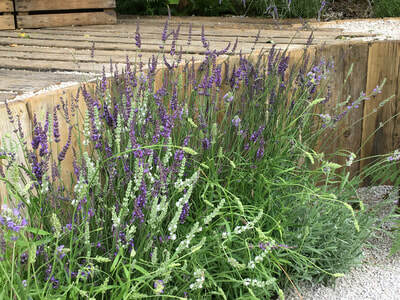 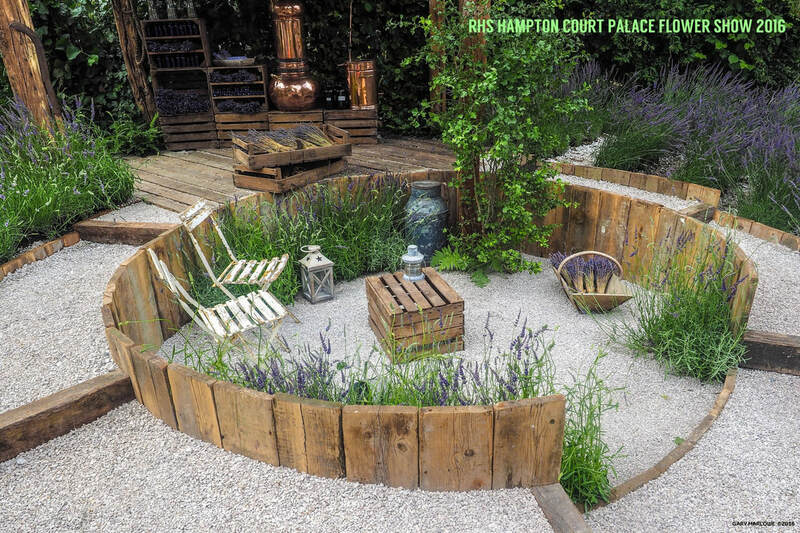 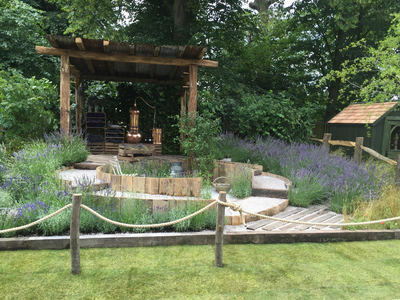 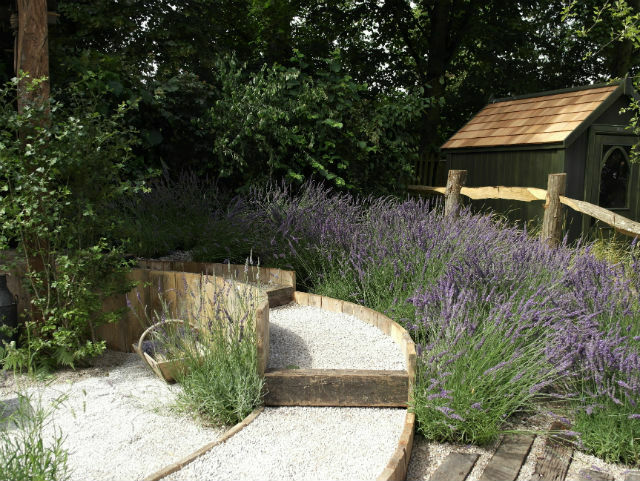 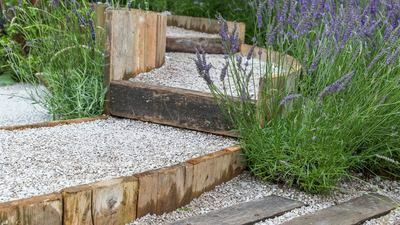 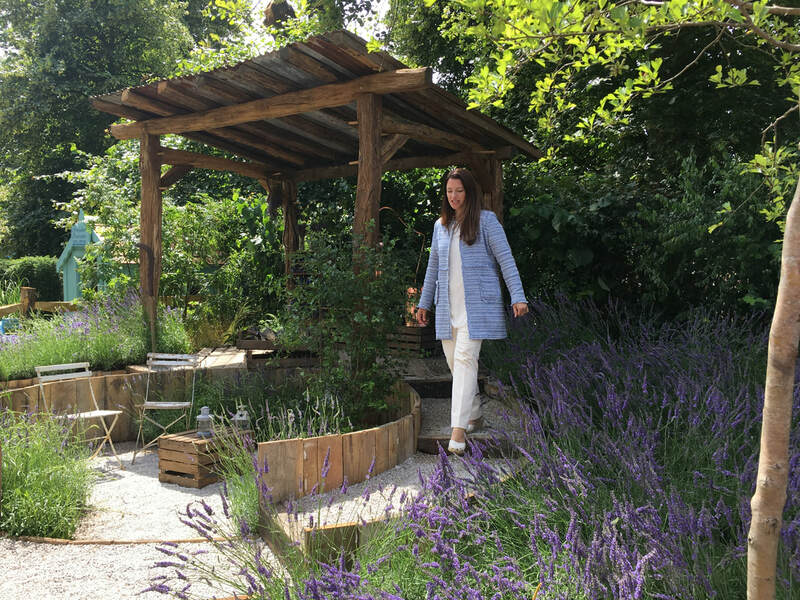 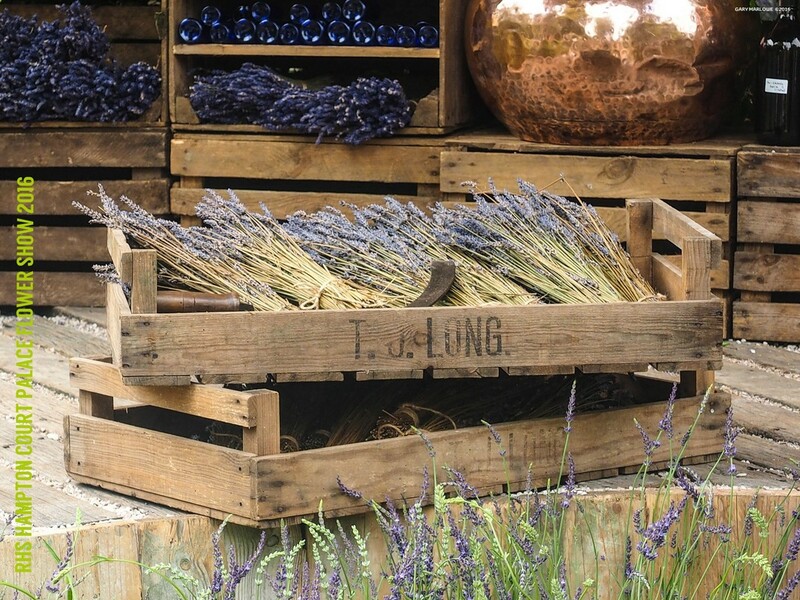 ​Inspired by a successful lavender farm on the South Downs that attracts thousands of visitors every year. 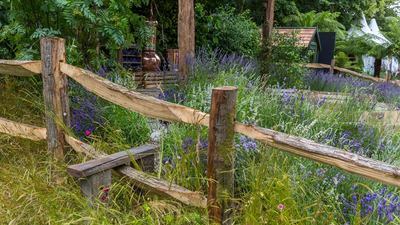 Overturned milk churns and a trough discarded in rough grass hint at the farm’s previous history as a dairy farm. 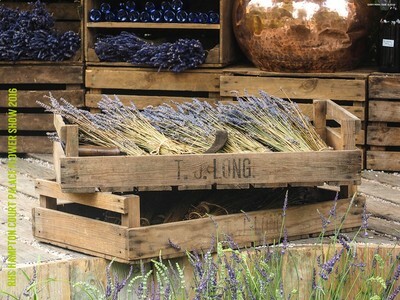 Due to market forces, the farm’s owners now use the land to farm lavender for its essential oil. An uplifting plant, known for its calming properties, the farm is a fragrant, peaceful haven buzzing with wildlife. 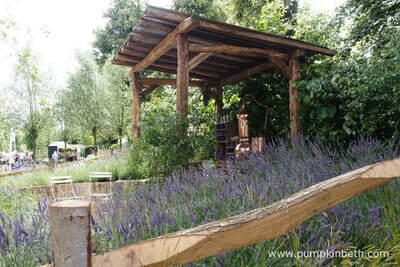 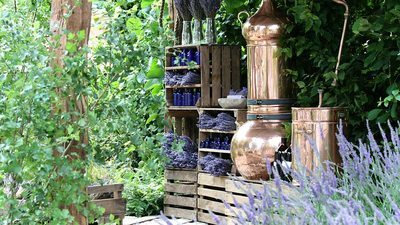 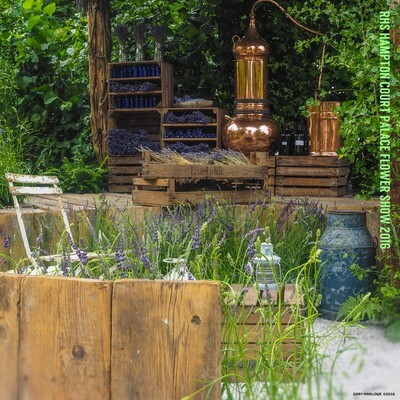 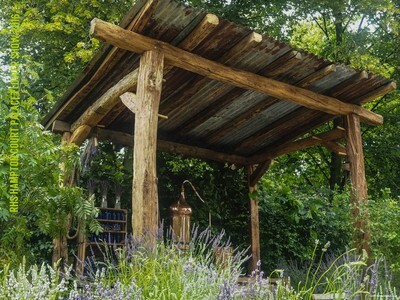 The old feed store, converted into a shop from which lavender products can be sold, and a seating area allow visitors to absorb the views and scent. 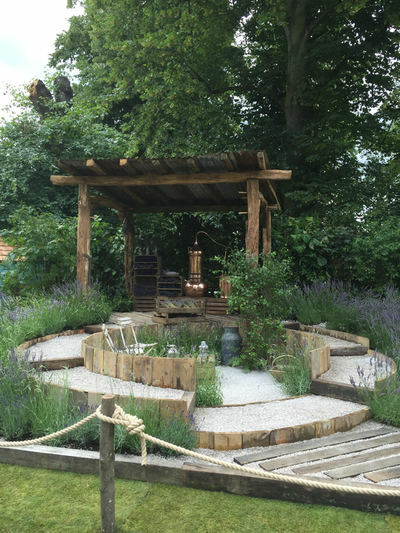 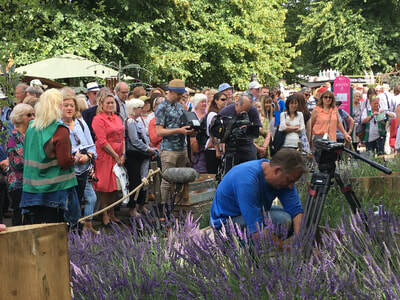 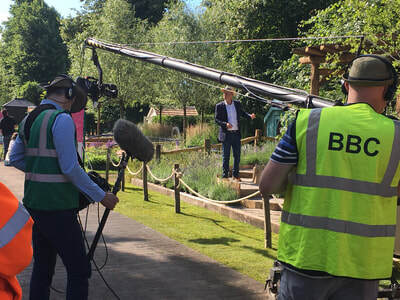 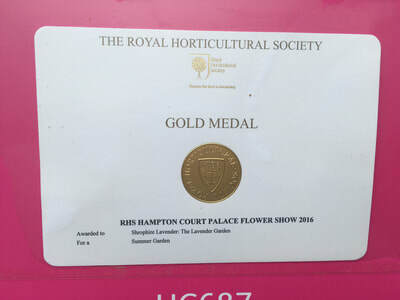 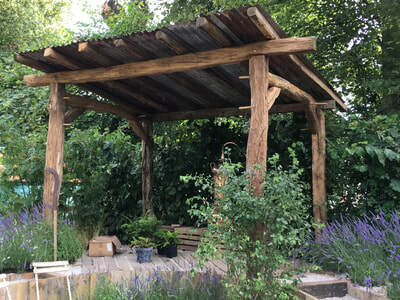 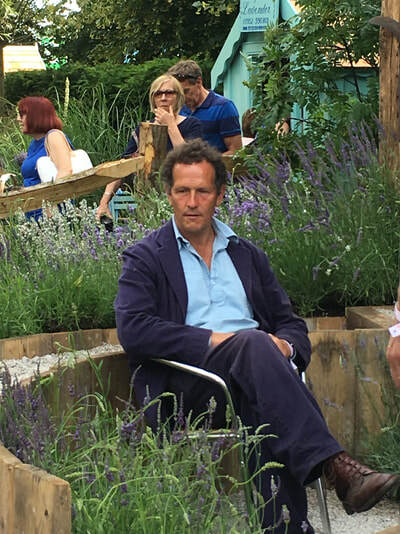 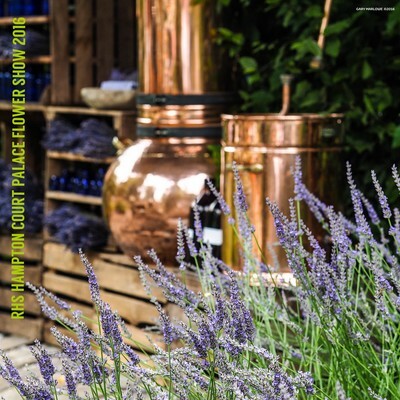 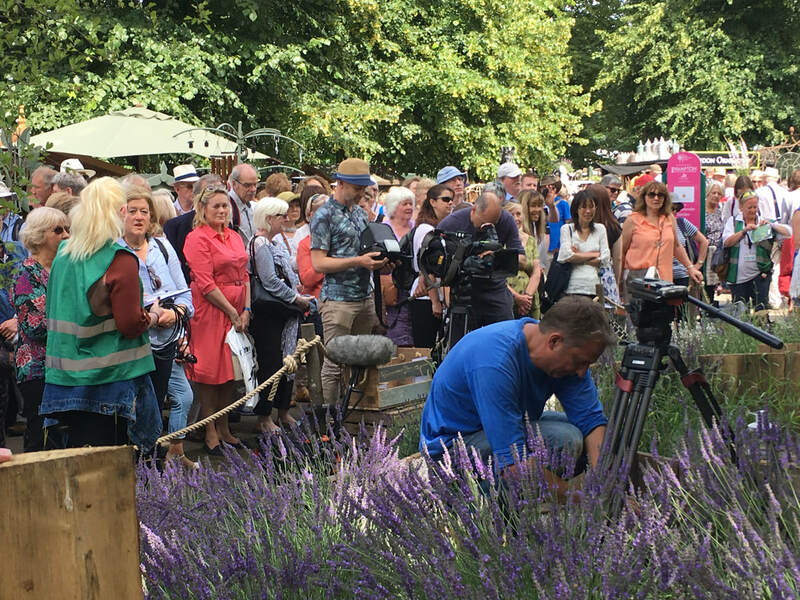 The garden was awarded an RHS gold medal.